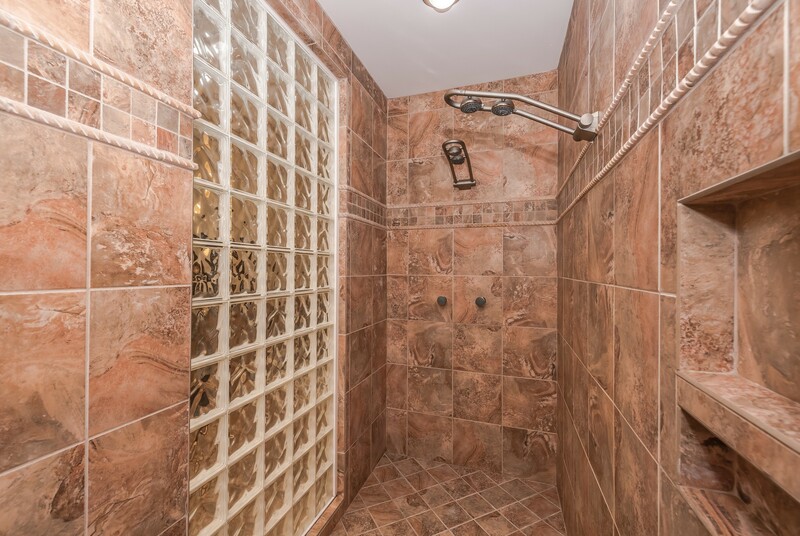 As you drive through the woods to reach this gated home in Harrisburg, North Carolina — just outside of Charlotte — you will be amazed at the privacy of its surroundings. Situated on a lush and heavily wooded 10 acres, this Frank Lloyd Wright-inspired home is a feast for the eyes. Built in 2006, this 5,588-square-foot home is breathtaking. 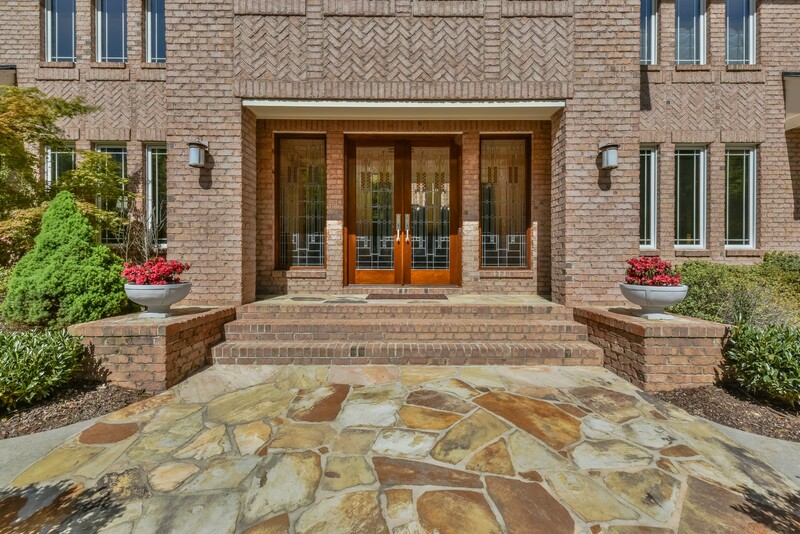 Once through the custom solid mahogany front door with handmade stained glass and into the grand foyer, guests will admire the gleaming Tigerwood flooring, the site-finished custom moldings and the dramatic two-story atrium. 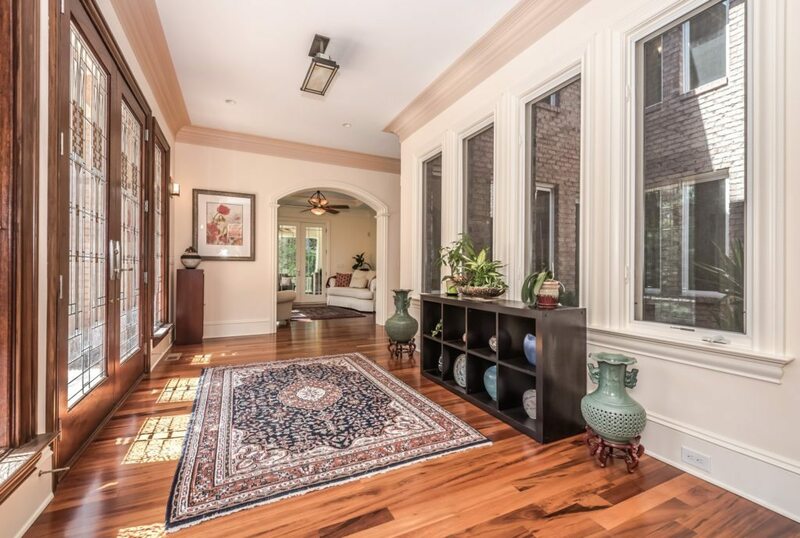 Throughout the home there is custom heavy molding and arched doorways, plus plentiful use of glass and windows to allow for bountiful natural light. The Craftsman-style details are everywhere. 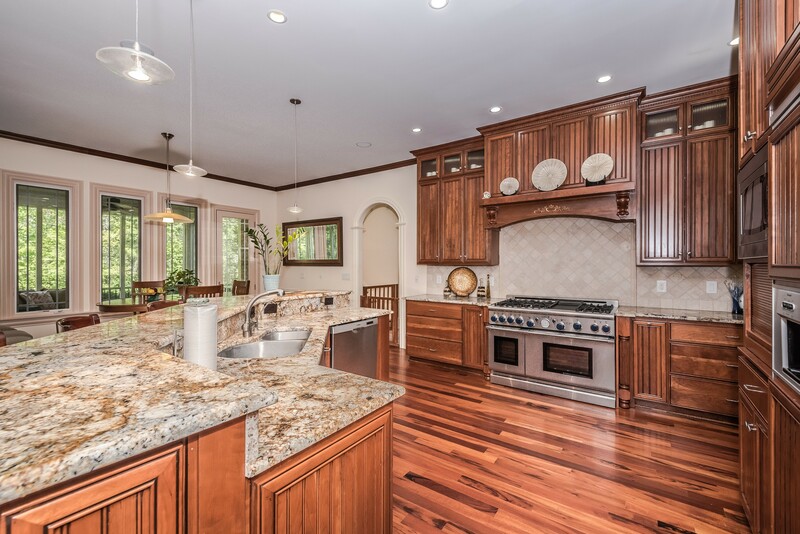 Style and function are masterfully fused together in this home’s gourmet kitchen, which has custom cherry wood cabinetry, gleaming granite countertops and state-of-the-art appliances. This spacious kitchen includes additional counter space with a sink and bar seating, a large eat-in area, a butler’s pantry and wet bar, walk-in pantry, recessed and pendant lighting — plus access to the home’s oversized outdoor living spaces. 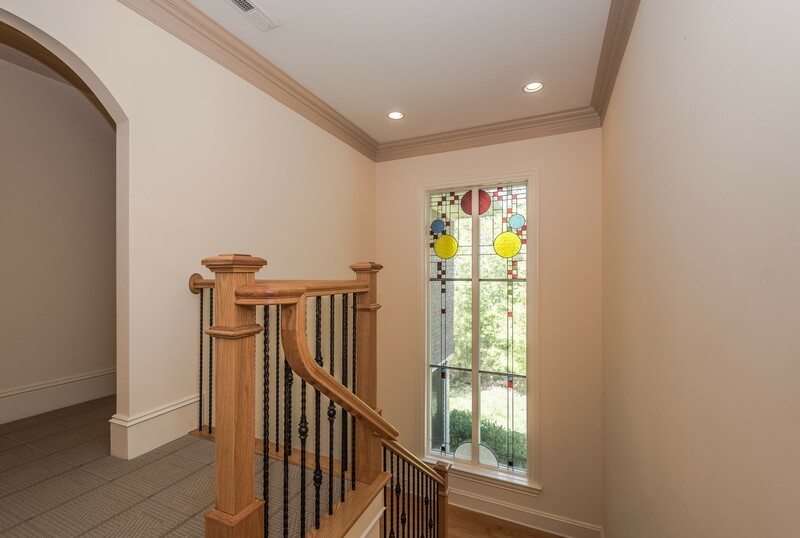 In the home’s rear stairwell, stop to admire the 1 1/2-story custom stained glass window — a true piece of art. 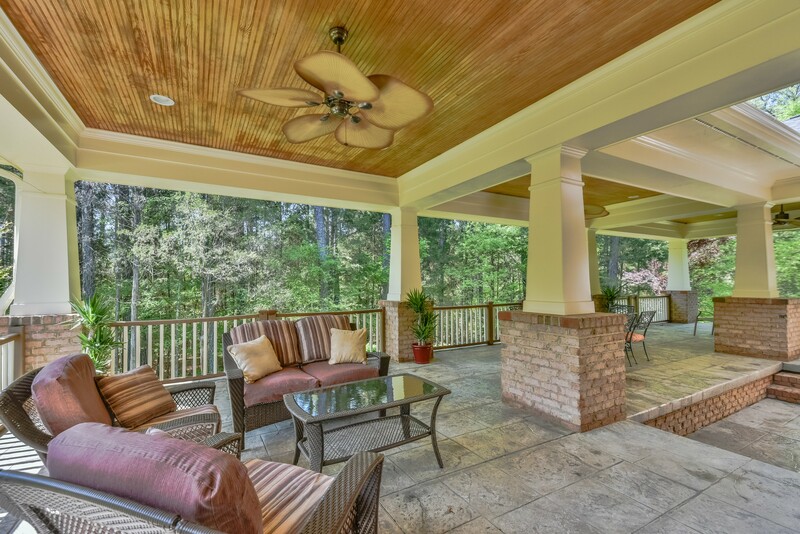 The expansive covered back porch area offers over 2,000 square feet of glorious space to relax or entertain guests. The patio features stamped concrete flooring, a wooden beadboard ceiling, ceiling fans and a fabulous view of the surrounding forest. This majestic home offers serenity to the discerning homeowner and is just waiting for new owners. For more information about this home, plus additional photos, please visit: leighsells.com. Go inside and see the home via a 3-D virtual tour. Liz Graham is the marketing and PR guru at Leigh Brown & Associates | Re/Max Executive Realty. You can follow her on Twitter or connect with her on LinkedIn. How does Madison Hildebrand kill it?